GSI Outdoors’ Commuter JavaPress combines two of our favorite things here at T&T: coffee presses and travel mugs. 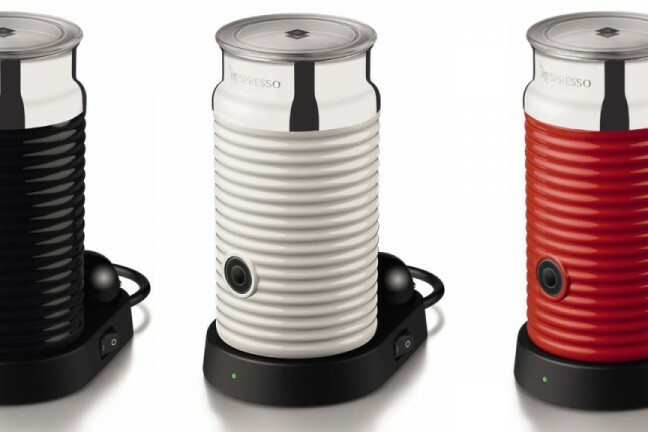 It’s essentially a French press that you can drink out of after brewing, except instead of an intrusive center rod, it employs a clever nesting carafe/plunger design — it brings the AeroPress to mind — that doubles as extra insulation post-brew. 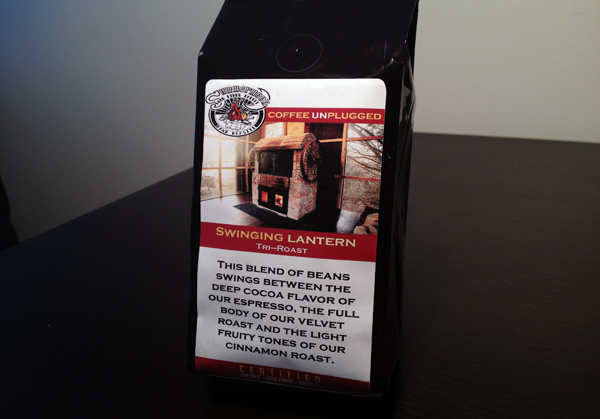 See how simple that brewing process is? 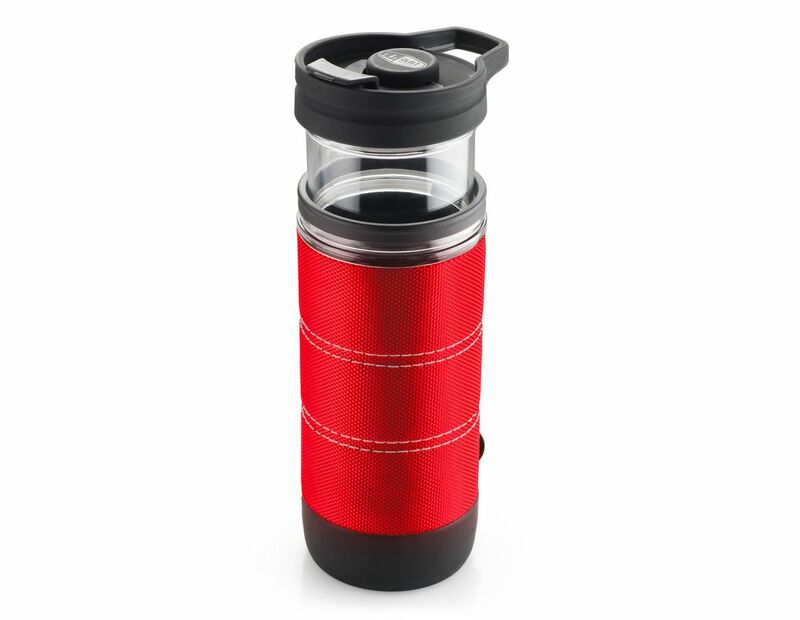 And even as a travel mug, the JavaPress excels, with its spill-resistant top, sealable spout, non-slip “foot” that helps keep it upright, and the ballistic cloth-wrapped foam cozy sleeve that insulates both your hands and the coffee inside for a secure grip. You can take this thing anywhere and everywhere with the assurance that your caffeine addiction will be safely satisfied. They also have a larger 30 fl oz. 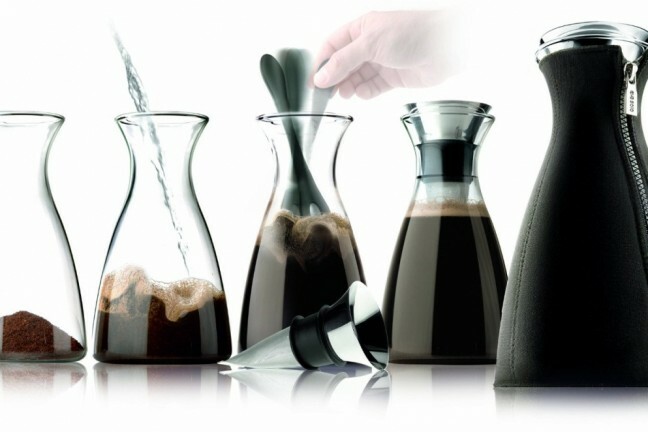 version ($30), a two-piece “personal” set that includes a standalone brewer/carafe with a separate mug you pour into ($32), and a whopping 50 fl oz. press/carafe ($44) for which you’ll have to provide your own mug(s).